The Polaris Bridge over the Hudson River should be removed by the Department of Environmental Conservation (DEC) and the river restored at the crossing. The bridge spans the beautiful Blackwell Stillwater stretch of the Hudson, one of the most picturesque spots in the Adirondack Park. The Goodnow River enters the Hudson just above the bridge. The state wants to keep the bridge open for motor vehicle use. There are four major problems with this. The main reason to tear out the Polaris Bridge is because it serves no functional management or recreational purpose. 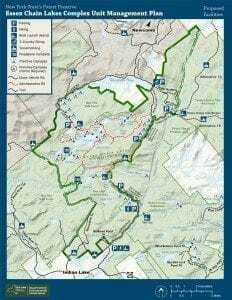 The east side of the Hudson River will be a mix of the Hudson Gorge Wilderness area and trail-less and wild parts of the Vanderwhacker Mountain Wild Forest area. The east bank of the Hudson River would provide great canoe access camp sites and as the years pass and the forest regenerates, the several miles of the Blackwell Stillwater would become a popular flatwater canoeing and camping area, in some ways more desirable and with better campsites, than the Essex Chain Lakes. The Adirondack Park does not have nearly enough wild, motor-less, quiet places. We need more. Unfortunately, the draft Essex Chain Lakes Complex UMP, currently in the public hearing process, fails to envision how extraordinary the flatwater canoeing and camping destination of the Blackwell Stillwater could be. It would rival other beautiful motor-less paddling areas such as Little Tupper Lake, Henderson Lake, and Lake Lila, among others. The Polaris Bridge would allow motorized uses. This would preclude a Lake Lila type access to the Blackwell Stillwater that preserves a motor-less experience for all visitors. When motors are precluded from places, such as Round Lake or the St. Regis Canoe Area, one can always count on a wild and quiet experience. 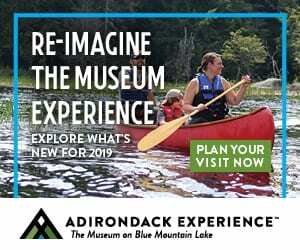 Also, retaining the bridge will lead to a major new snowmobile route, which violates Adirondack Park Agency (APA) and DEC policy. Those that want to retain the bridge want to connect it to a major new snowmobile trail cut through the west part of the Vanderwhacker Mountain Wild Forest area that would lead to the Minerva area around Sporty’s Bar. 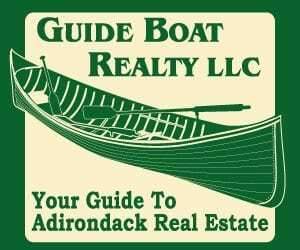 They also want to retain some of the roads in Wild Forest areas on the east side of the Hudson for various other activities. 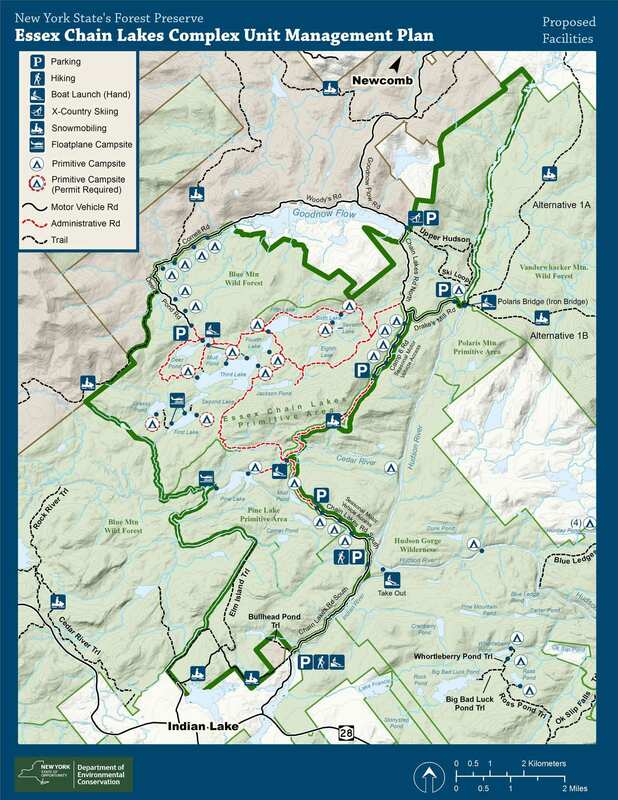 On July 9th, the APA approved a major new snowmobile trail that will connect Newcomb to Minerva. This trail will largely follow Route 28N. The 90,000 acres of the former Finch Paper lands where the State purchased conservation easements in 2010 solidified and permanently created major snowmobile trails between Newcomb and both Long Lake and Indian Lake. Snowmobile enthusiasts say they need the Polaris Bridge to link Minerva to Indian Lake, but there is now a major snowmobile route planned that will connect Newcomb to Minerva, so a trail over the Polaris bridge is redundant and unnecessary. Such a trail would entail cutting of thousands of trees and excavating and grading a new road-like trail with heavy machinery. This would be disastrously disruptive to a wild part of the Forest Preserve. The 2009 “Management Guidance” for snowmobile trails in the Forest Preserve approved jointly by the APA and DEC holds two principles for management in recognition of the heavy footprint of these 9 to 11 foot wide snowmobile trails and the great expense of constructing them: 1) major snowmobile trails should not be redundant, but provide the sole linkage between communities; 2) snowmobile trails should be kept on the periphery and not be cut through the interior of Wild Forest units. The snowmobile trail through a trail-less and wild part of the Vanderwhacker Mountain Wild Forest proposed to utilize the Polaris Bridge violates both of these principles. A third reason the Polaris Bridge should be removed is that it violates the NYS Wild, Scenic, and Recreational Rivers Act. The bridge is in an area of the Hudson River designated Scenic, which precludes public motorized uses. DEC regulations call for four-foot wide trails, for non-motorized uses only, in Scenic corridors. The Environmental Impact Statement promulgated by the DEC during adoption of its Rivers Act regulations states in a number of sections that Scenic River corridors are motorless. DEC is attempting to get around these restrictions by arguing that private motorized recreation rights used by leaseholders should be “grandfathered” as new public rights. In reality, DEC’s only option to retain the bridge would be to change the law and DEC regulations. A fourth reason the Polaris Bridge should be removed is that the Vanderwhacker Mountain Wild Forest Unit Management Plan, approved in 2005, includes nothing about trails through its western reaches. People use this area to hike Vanderwhacker Mountain or into the various ponds. 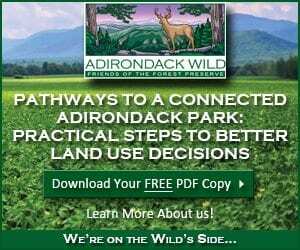 The DEC and APA worked for years to complete the 2006 Adirondack Park Snowmobile Plan, which listed priority community-connector trails in the Adirondacks. A Minerva-to-Indian Lake trail was not listed as a priority. Local government leaders were at the table throughout Snowmobile Plan process and connecting Minerva and Indian Lake was never highlighted as a priority. The state would have to revise this plan before it could approve or build such a trail. The Polaris Bridge is a bridge to nowhere. Keeping it will lead only to widespread natural resource degradation, a colossal missed opportunity for a beautiful new wild and motor-less paddling destination, and a violation of state laws. The DEC should tear down the Polaris Bridge. Photo: Above, Polaris Bridge in a flatwater stretch of the Hudson River; below, a DEC map that shows proposals for new snowmobile trails through a wild, trailless part of the Vanderwhacker Mountain Wild Forest Area. Editor’s Note: Another Public Hearing has been scheduled in Albany on the Essex Chain Complex, which includes plans for the Polaris Bridge. You can read more about here. A jumbo AMEN to this! Tell that to the Wild Forest crowd (aka motorheads) Peter, who are sure to jump on board and tell us how the environmentalists are destroying their freedoms to do whatever they darn well please wherever they darn well please! Peter, is this trail entirely on Forest Preserve land like the one that would cross this bridge is? If it isn’t then it isn’t the same thing at all. If it crosses private easement land that trail could be closed in the future at the request of the landowner. If it isn’t on easement land I see your point. Can you confirm that? I vote for removing it for whatever my vote is worth. Thank you so much for this clear and direct analysis. Please keep up the good work. I am good with removing the bridge, so I am wondering why the tenor of your article frustrates me. “tear” out the bridge instead of the “remove” the bridge. Tearing would send a plume of sediment down the river. “major” snowmobile corridor, really have you been to North Hudson’s/ Minerva’s tourist center lately? “Popular” paddling destination, really? There was one group of overnight user in the Chain of Lakes primitive area on July 4th weekend. 7Lets stick to the need to keep the river wild and scenic and avoid the drama. I realize the Polaris Road isn’t very long and only leads to a small handful of lease camps, but I would think that the bridge could serve as an easy way for those without a water craft wishing to cross the river on foot. Agree wholeheartedly with this sentiment, which is admirably and clearly stated. As for the perception of recent low usage, absence of evidence is not evidence of absence. I haven’t seen the bridge. I wonder if I did, I’d want to get across to the other side. Bridges can be very useful that way. Removing a bridge is a good way to restrict people from the other side, but that seems rather hostile. That’s my simple top-level analysis, without bringing in any bias regarding snowmobiling, without bringing up arcane legal issues, and steering clear of any hard-edged dogma regarding the best use of the Adirondacks. I find myself without a strong opinion, either way. From photos, however, it seems to be a spectacularly ugly bridge. Anyone who builds an ugly bridge in a scenic area has made a big mistake, in my view. So, I think the two choices should be removing the bridge or making it pretty. This sort of decision is quite common, such as what to do with that old shed in your backyard. 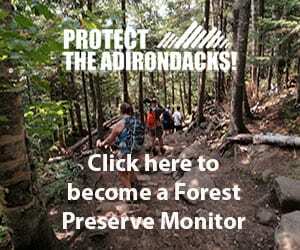 This very article includes a perfect example of why I can not support the group Protect the Adirondacks. I have no problem with people putting their opinions out there for others to think about and consider. But time and time again representatives of Protect present their view in a way that paints a very misleading picture for the reader. This “story” helps the reader to picture the Polaris bridge with traffic. Sorry simply not the case. The Polaris Bridge would be used for motor vehicle use. Yes, the very rare official vehicle in the summer and snowmobiles in the winter. Having the Polaris bridge will not have any effect on ones enjoyment of the Blackwell Stillwater Area of the Hudson. There will be no Motors for anyone to hear while sitting and listening to the riffles during the paddling season. I feel the Polaris Bridge can serve an important link for multiple user groups. Skiers, hikers,snowmobiles even firefighters should a wildfire occur on the Vanderwacker side of the Hudson. So please Protect, enough with the leading misconceptions. I think there should be some acknowledgement that Protect is an environmental activist group that does not represent a majority of people who live here. 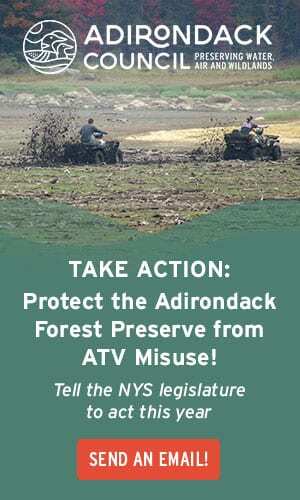 I love the Adirondacks and certainly want to see this area protected, especially from extremist groups like Protect! There is full disclosure at the end of the article where Peter and his present and past affiliations are listed. 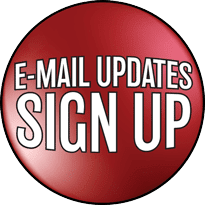 People are free to check out their website to get info on the organization. I think that most people understand where he is coming from. Nothing appears to be hidden here? A very loud “AMEN” to Ruth Olbert. Congratulations to another who is bold enough to dare and question Peter Bauer and his co-horts. 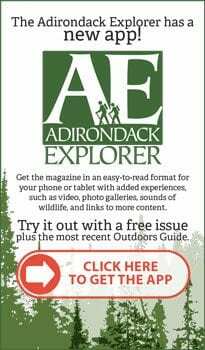 Unfortunately the Adirondack Almanac is all too devoid of contrary opinions to those who would seal up large areas of the ADK’s to us older outdoors folks with limited mobility. One comment compliments his unsolicited commentary with “clear and direct”……Baloney …how about “slanted and biased”. 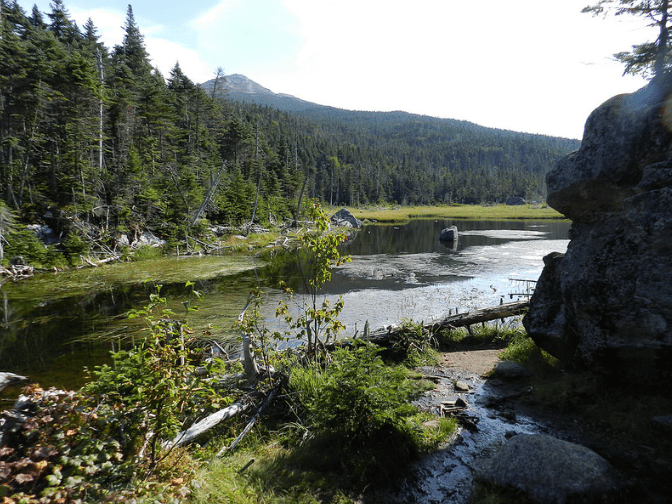 AGAIN, the ADK’s cannot be the private playground of the “Wilderness only” crowd. I applaud the State on being brave enough to replace the Polaris Bridge so that we can “ALL” enjoy this area. Another shrill and fanciful piece by Peter full of misinformation and personal opinion presented as fact. Claims such as the need for more motorized recreation restrictions due to the lack of non-motorized use areas is absolutely preposterous. I’d say it’s a manipulation of the facts, but it’s more just a lie than anything else. Even where motorized use corridors pass through Wild Forest designated lands they only account for a fraction of a percent of the lands in question. Making it sound like a trail somehow destroys the entire parcel is nothing short of fear mongering and manipulating people with mistruths. 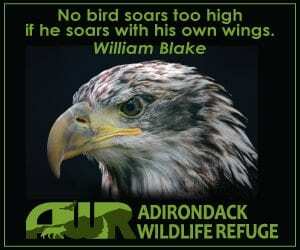 It’s shameful to hide behind an organization that purportedly exists to ‘Protect’ the Adirondacks when it’s apparent it’s just a front for a personal agenda at the expense of its contributors. It’s time to expose PROTECT for the scam it is. There are much more worthy organizations to support who actually do wish to conserve lands for future generations, not for their own personal agendas, but in the interests of the majority of the public. I will first state I know nothing of this bridge and have not been to this part of the Adirondacks except to follow part of Rte. 8 towards home from Lake George after a trip to New England in the ’70’s. Ruth brings out a very important point. Environmental groups have a tendency to overstate the doom and gloom aspects of any project they don’t like, which reduces their credibility. We have the same concerning the National Forest here in western North Carolina when Forest managers came up with the current plan of making 700,000 acres available to logging over the next 10 years or so. To hear the environmentalists, that means half the available 1.4 million acres of National Forest will be stripped bare by loggers. The truth of the matter is that the plan calls for about 10% of the 700,000 acres to actually be logged over the life of the plan, just like the previous management plan, which made over a half million acres available. Wherever I go in the NF, I see few signs loggers have been there and the forest is very healthy. Some folks have a real aversion to seeing logging trucks coming anywhere out of the NF, because they hold the incorrect belief the forest is being raped by commercial interests. The bulk of the Pisgah and Nantahala NF is second growth (which was heavily logged in the ’20’s and ’30;s), with a few isolated stands of protected old growth trees, most notable the Joyce Kilmer Memorial Forest. To wish for a return to a totally unmolested old growth forest is unreasonable. Just ask the environmentalists what their homes and furniture are made of and where they believe the lumber came from. They tend to not answer or hem and haw about coming from private holdings. >> The state has motor vehicle use in mind with this bridge.The state employs too many motorheads. It seems reasonable to keep the bridge so that hikers can get to the other side of the river. I assume Pete would prefer the bridge removed because he likes the idea of the Adirondacks remaining in their natural state.I understand this mindset and empathize with him wholeheartedly. If this is true what Peter says Ruth then I assume you’re all for violating policies just to appease motorheads! Your little assumption would be wrong. My point( I really don’t think it was very difficult to understand) was snowmobiles are a winter activity and canoes are not. 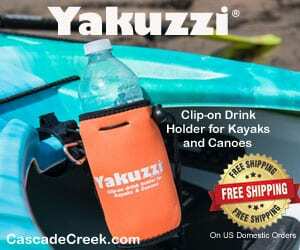 The article led readers to believe there would be the sounds of motors interrupting the paddlers wilderness experience.That would not be the case. The only motorized vehicle during the paddling season would be official vehicles if a need arose. Facts are a good thing. Slanting them to lead an uniformed reader to get your agenda pushed forward, is not. DEC has very small enforcement staff. Very small. If the bridge remains, ATVers will be using this in summer zooming around as you paddle beneath. Sure, it would be prohibited, but who’s going to stop them? The tiny staff of Forest Rangers are overwhelmed. I agree that DEC staffing levels could be improved. However the DEC staff that handles the Newcomb area are top knotch. We could not ask for a more diligent group. As far as ATV use, there are gates in place throughout the Essex Chain to protect against such activitys. If an attempt to ride in an out of bounds area did occur,my feeling is it would be addressed quickly and firmly by the general public. So no, there would be no sound of motors during paddling season. I don’t have an agenda I have passions.You’re saying Peter is slanting the truth? Charlie, I think Ruth is quite clear. 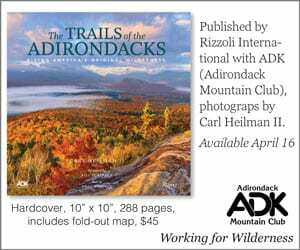 The idea that the Adirondacks “does not have nearly enough wild, motor-less, quiet places” is definitely just a opinion based statement. Do we need more? Again an opinion thing. If you look at the facts and just waterways alone you can get a list of hundreds of motor-free waters from the DEC website. Even if you don’t want to count many waterways that are not legally motor-free many of them are by default motor-less unless you want to carry a motor-boat down a trail for a distance or launch where there isn’t a launch. Then even when you look at waters that allow motors there is often more surface area of the lakes and ponds that is available for paddling and pretty much off limits to motors unless you want to destroy you boat or motor. Many large lakes in the park are artificial dammed lakes that have very shallow water and lots of places that only paddlers should go. You read paragraph six and actually think about how it presents itself to the reader. Now can you tell me honestly that is not slanted writing? The access to the Hudson River will remain gaited to the general public 2/10ths of a mile to the west of the bridge. There will be no driving acrossed the bridge for the general Public. So no sounds of motors while paddling/camping. But to answer YOUR question clearly and concisely Charlie, Yes. I do feel that Peter knows how to write for effect. In this article paragraph six he wants people to imagine themselves sitting on the Hudson River listening to hords of as you put it “Motor-heads” racing from one side of the river to the other via the Polaris Bridge. Final time Charlie,that is not and will not be the case. Ruth, you can’t question Charlie. Why? Because he doesn’t have a television and because of THAT he’s smart. How do I know that? He said so a month ago. We mortal TV watchers and uhhhhh horror of horrors, cell phone users, can’t match that kind of logic! I prefer my cell phone and 65 inch curved screen to Charlie’s tin foil hat any day. The mere existence of this monstrosity in an otherwise scenic and natural area is reason enough to remove it without regard to potential uses. It is a blight on the Forest Preserve. As for the motorized use advocates, I will merely point out that seasonal wildness is an internally inconsistent concept. This is a developed area with many many roads. A bridge doesn’t seem that out of place. The entire Essex Chain of lakes (or chain lake whatever it is called) is going to be motor-free. In fact I think all the water on the Forest Preserve acquisition is going to be motor free. Tom Payne says: Charlie, I think Ruth is quite clear. She may be Tom but so am I? If the APA and DEC policies are being violated then what do we do? Sit back and allow them to further misrepresent so that a menacing force will eventually be in total control of my beloved Adirondacks? Tell me please! Opinions are like donkey’s Paul…everyone has one. Some people see light while others are diffused with darkness. Considering all of the space allowed for motorized use in this country,in this state,on this wee world earth….there is not near enough wild places to make up for the deficit. I don’t know how to explain myself without throwing your average thinker for a loop but in short…i’m futuristic I see impending doom. I see not just black and white I see purple too. I see sanguineous hues. Sure, like I said that is your opinion. I was just giving some of the facts. Also for paddlers they are allowed to use any water open to motorboats and they do. And I will add that all the water on this new parcel no longer allow motorboats, so you are getting more here. Lots more. So you can add these lakes and ponds to the motor free list. Just because I think we have lots of quiet places to paddle in the Adirondacks doesn’t mean I don’t like them or want more. Just sharing some facts. My question at this point is: what made the bridge necessary in the first place (the state does not build bridges just because they have a surplus of bridge funds), and who or what has suddenly deemed it unnecessary? This bridge was probably built by the logging company that owned the land to get logs out. 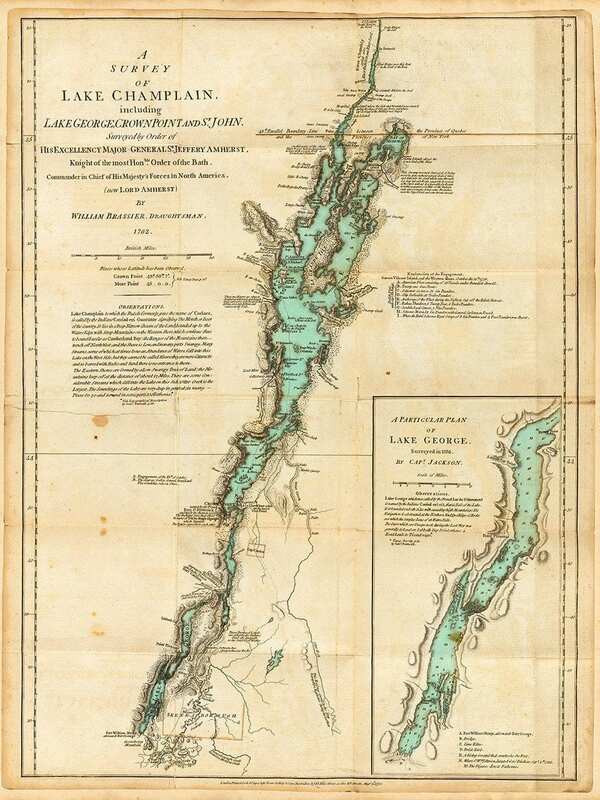 I have access to old topo maps of the Adirondacks online. What township is the bridge in so I can see how old it is, and what roads if any, crossed it? The bridge is on the Hudson between the villages of Minerva, Indian Lake and Newcomb. It was built in the 1990s for logging purposes. I see the point for and against the Polaris bridge. It is a big ugly structure to say the least. I don’t see the point for building the snowmobile trail through the Vanderwacker wild forest. The new approved trail off of 28N should be more than adequate for travel between Indian Lake, Newcomb and Minerva. A number of the snowmobile blog posts that I have read brag about the number of miles logged on the sled, not how quickly one travels from point A to point B. The representative from the DEC who made the presentation in Indian Lake talked about the proposed trails through Vanderwacker shortening trail distances. That doesn’t make sense. I don’t agree with a lot of what Mr Bauer says, however, he brings a lot of points to the table and gets discussion going. 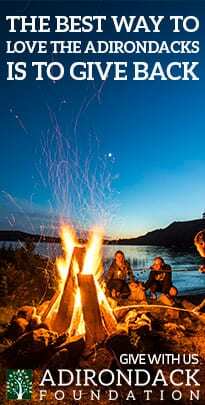 The wild lands of the Adirondacks do need to be protected and managed well for those who live within the Blue Line as well as those of us who own property or come up to enjoy the Adirondacks on a part time basis. I don’t do any snowmobiling myself these days but the trail that parallels 28N is not the same as the proposed trail in this plan. If you look at the maps on Protect’s website you can see that the 28N trail crosses both private land and conservation easement land. 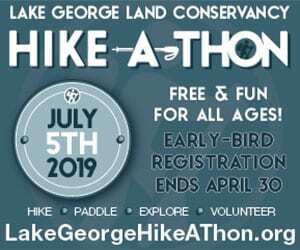 I assume that it requires either some sort of lease arrangement or permissions from landowners which carry no guarantee for the future of the trail. It is not a trail on all Forest Preserve land like this proposed trail would be. Groups that keep saying that these two trails are “redundant” are not telling an accurate story. When the towns approved these deals they were given some assurance from the DEC that the deal would include connector trails on state owned land. It looks like the DEC is just trying to deliver on that “promise”. The time for these groups to protest these things was quite a few years ago now. Perhaps the towns would not have approve the deal but that is when the discussion should have occurred and I think it did. The idea that snowmobilers are ‘zooming’, or ‘speeding’, or ‘racing’, or whatever term to describe high rates of speed and what is mostly conveyed as an unsafe characterization of the activity is another red herring used by the anti crowd to confuse and misinform those without any knowledge or experience of snowmobiling. The fact is that it’s awful hard to go much more than 30 or so, even on a modern machine and on a seasonal dirt road used for this purpose. On an interior trail designed with the traits the Peter described for us so many time with his propaganda, (bench cuts, 9 to 11 feet wide, blah blah blah, ad nauseum) 30 MPH is a hard speed to maintain for more than short sections unless you have a death wish. Saying otherwise is just more misinformation and obfuscation of the truth. What is the River (brook or stream) in NY with the longest section without a bridge and how long is that distance? What is that distance on the Hudson with this bridge in place? Without it? Why have regulations and policies in place as guidelines if each decision is made on a case by case basis regardless of those regulations or guidelines. Look at the bridge from two human perspectives 1) floating or paddling the river and 2) from a land perspective, motorized or by foot, crossing this bridge. 1) How unique would this float be in terms of wilderness/solitude without the bridge in place? 2) How unique special is the bridge in terms of foot travel/motor access, connecting trails and communities? How many miles of snowmobile trails exist in the park? How many miles of navigable quiet waters, not next to a road, no bridges, dams exist in the park? And here, thank goodness, a sensible comment. It has perspective bigger than the immediate issue of the bridge. Thanks, Scott. The kind of myopic thinking that says that a particular bridge or road will provide access or convenience and therefore should exist is the reason we have bridges and roads all over the place. Access and convenience win in more than 99% of the country. How about letting a wild river prevail over an exceedingly ugly bridge? The snowmobile route is redundant and unnecessary. We are a culture obsessed with convenience and gratification. It’d be mighty convenient to have a road from Newcomb to Lake Placid too. Let’s do that! Talk your community connector! Indian Pass would look good out a car window! You could have a turn-off with a refreshment stand and everything! Again, how can a trail that crosses private and conservation easement land be redundant with a trail that would exist on all Forest Preserve land. It is fine to be opposed to the trail and want this bridge removed but calling it redundant is inaccurate and misleading. These towns are going to view all of this as bait and switch and you can forget about approval of any other large land deals in the future. Ruth says: ….hords of as you put it “Motor-heads” racing from one side of the river to the other via the Polaris Bridge. Final time Charlie,that is not and will not be the case. Who knows what the future may hold Ruth? Remember…it starts with an inch and before you know it a mile is lost. JohnL says: Ruth, you can’t question Charlie. Why? Because he doesn’t have a television and because of THAT he’s smart. You’re on the ball John. That’s one reason. There’s other reasons why I’m so smart. For one I was against the Iraq war. Before we went in there I spoke to the public I said “If we go into Iraq we’re going to open a can of worms that we’re gonna regret….” The people who were all for that war? In this particular case you are closing roads and removing cars and trucks from the area you are not “inching” forward you are leaping in the other direction (far fewer motor vehicles) even if you leave the bridge. 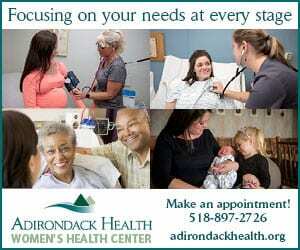 Areas can always be (and often are) reclassified and “improvements” can be removed. Try it one way and see how it goes if there is a problem adjust. These roads are being opened to the public, not closed. Pete mentioned something about a pristine wilderness experience if the bridge is removed. OK, why not go all the way and not allow camping, for a truly pristine experience? Can it really be such if one rounds a bend and sees a bunch of tents and firepits marring the landscape. Let the forest reclaim the land, as he suggested. I’m assuming there is vehicular access to the eastern side, with or without the bridge, or there would be no concern over vehicles crossing the bridge. Who will be policing the area to make sure the camping is canoeists only, and picking up the trash, which some are sure to leave behind? The article is incredibly misleading,as is so often the case here it seems. But Protect has an agenda to advance, so the facts don’t seem to matter. The experience at the stillwater is very remote, serene and wild. Removing the bridge to satisfy the desires of Protect would be folly. A time will come when that bridge is needed, and it’s certainly doing no harm now, except perhaps offending the sensibilities of those that wish to remove any indication that man ever was or will be there. Interesting how wonderful these lands were when acquired, but since then, they no longer seem good enough to some folks do they? Restrict that, tear out this, ban that, the usual mantra. Ruth has it correct, and she would certainly know given her deep connection to the area. Mr. Gorbichov, tear down that bridge! Peter’s analysis is solid and looks at the long range impacts of the removal.